Resident on Main Street, Longford (surname Hawden). Francis William, a.k.a. Frank, was born 2 March 1894 in Cloncoose, Co. Longford; his father was a draper who was later a member of the United Irish League. Prior to the war Frank worked as a clerk; this had a part to play in the battalion he joined, as the 7th Royal Dublin Fusiliers was almost exclusively a 'Pals battalion', recruited from professional offices, banks, university students etc; Frank was later attached to the 1st RDF. Frank arrived at Eastern front in Gallipoli (Suvla Bay) in August 1915, and went on to fight there, then at Salonica after the 25 September. Frank did not go on to serve in the Palestine Campaign as he had enlisted as a private but entered the No. 5 Cambridge Cadet School in January 1917, as the first step in becoming an officer. He completed his training that September. 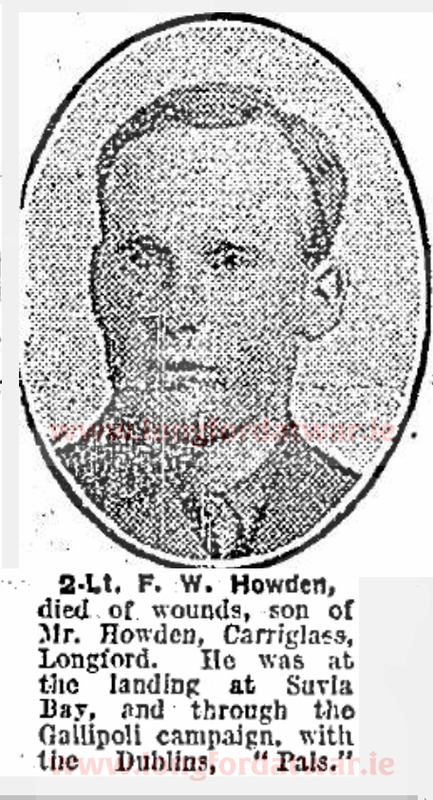 He was originally believed to have died on the 25 September 1917, but this was corrected to the 30 March 1918. 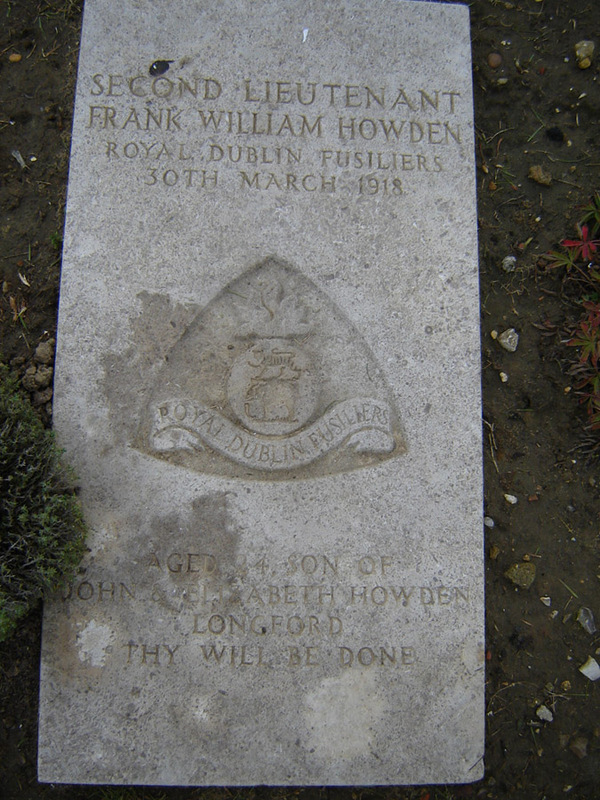 Son of John Howden and Elizabeth (née Crowe), of Cloncoose, Longford.